Book number 22 in my 50 Book Project is called ‘Friend of a Friend’. 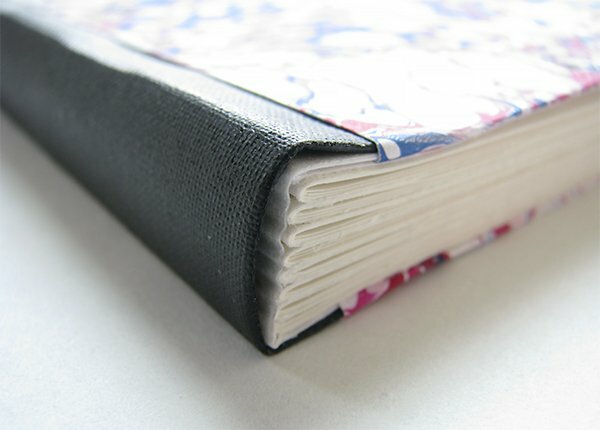 I learned about the binding from my teacher at North Bennet Street School, Amy Lapidow. The instructions are in a book that Amy co-authored with Stacie Dolan called Book Art Studio Handbook, and I’ve never seen it any where else. The signatures are sewn together using a French link stitch (no tapes) with kettle stitches at head and tail. The front and back covers are card stock that’s sewn into the book block along with the signatures. After sewing, I glued a strip of Tyvek over the spine (the instructions call for Japanese paper but I felt the Tyvek would be stronger). 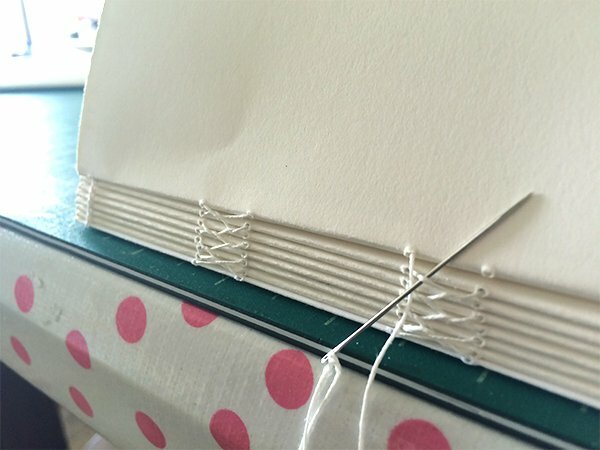 A narrow strip of card stock is glued to a piece of book cloth to give shape to the spine. This book cloth is then glued to the book block before decorative paper is attached to the covers (see below). And here’s a side view of the spine, where you can see the Tyvek wrapped signatures. 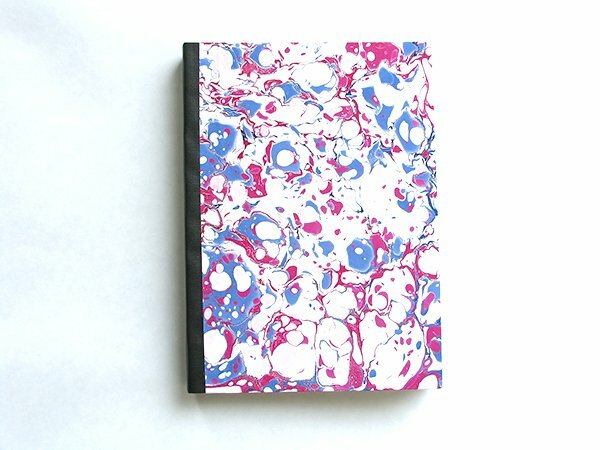 For the cover, I used a piece of my hand marbled paper. Next time, I’ll make the book cloth spine wider because it doesn’t look balanced to me. This book structure reminds me of a paper back novel. 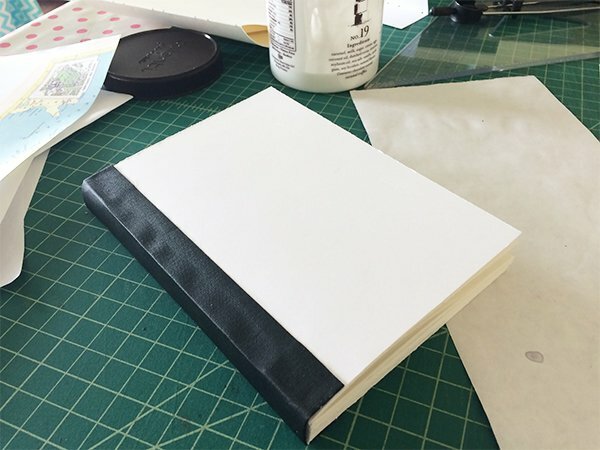 It’s a great size (5″ x 7″) to hold in the hand and the pages almost open flat, so it would make a good journal or sketch book. Thanks Dale – it was so much fun to make! 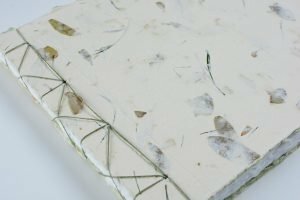 As a long time fan of bookbinding, I was delighted to discover your blog and this series. 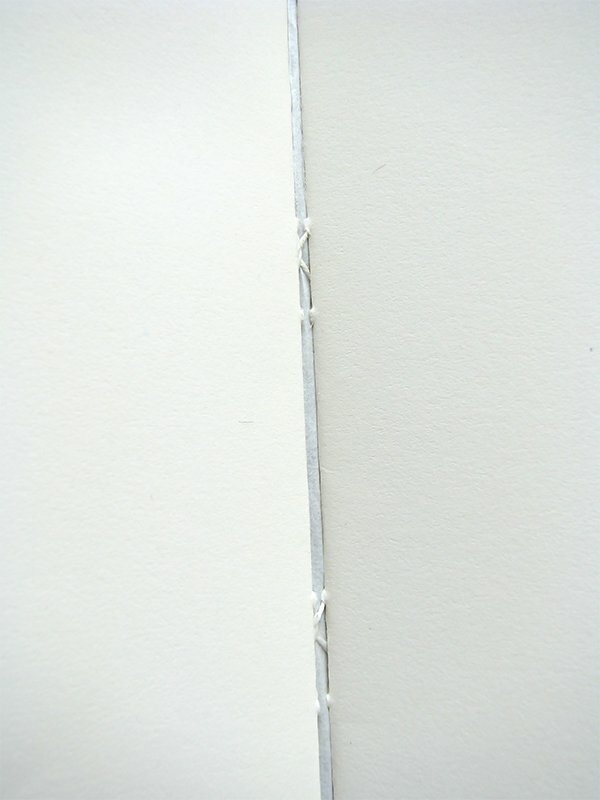 I really like this book form, I just learned it a couple of weeks ago on a bookbinding course (in Glasgow). 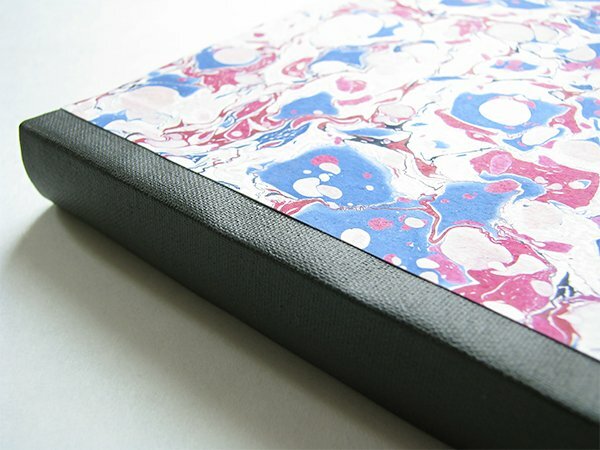 I made it with thick watercolour paper covers and it’s almost a hardback. Amy & Stacy’s book is now on my wishlist! Another fabulous use of your materials, expertise and creative genius. I always enjoy your newest creations and the thought process involved in what you are doing. Thank you for your generous nature in sharing these works of art with the public.